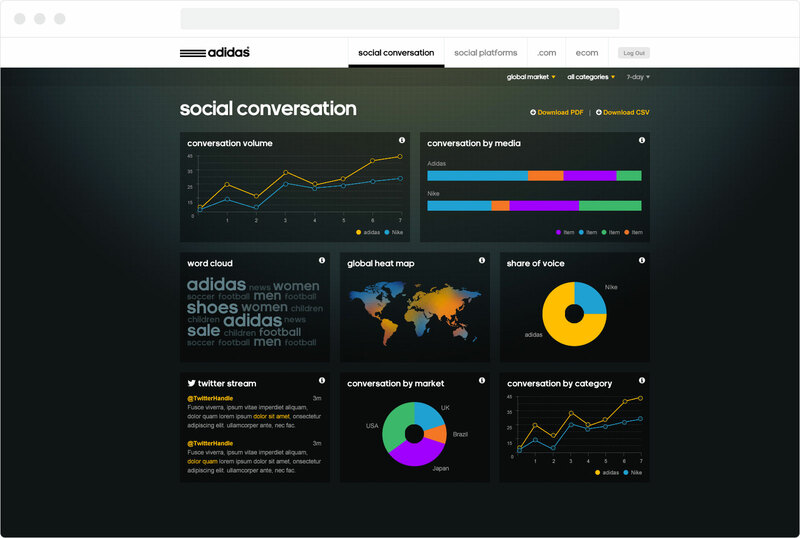 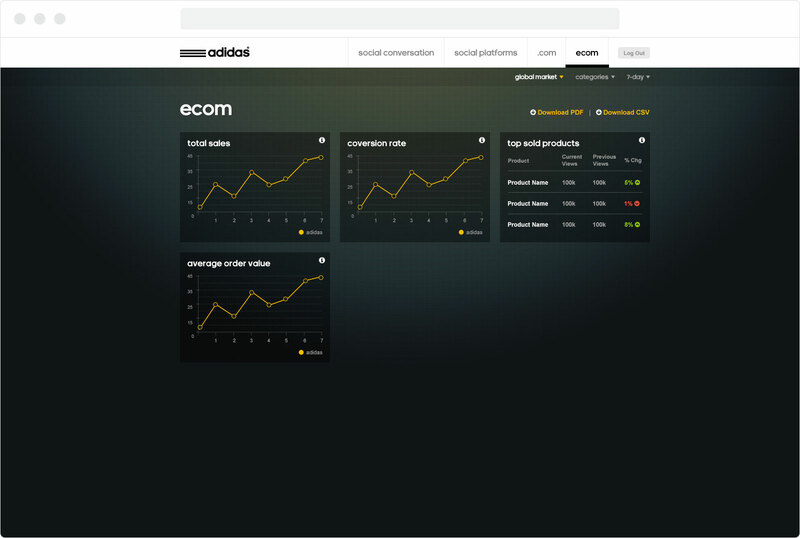 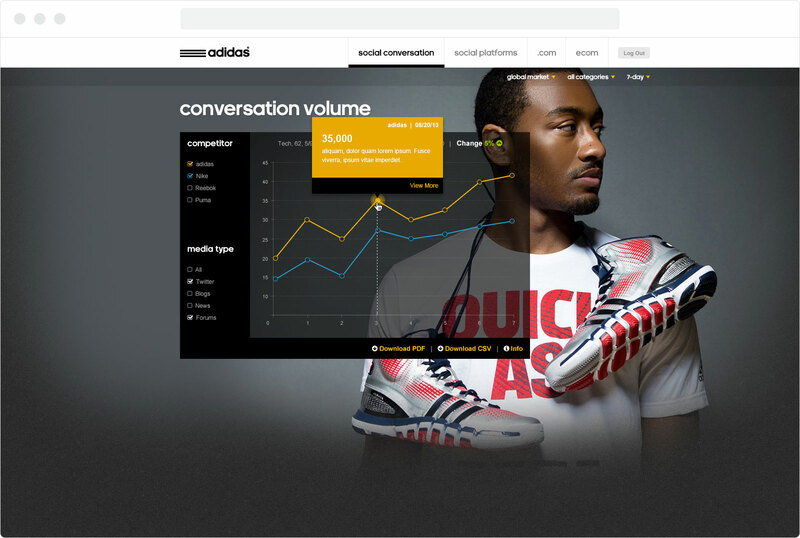 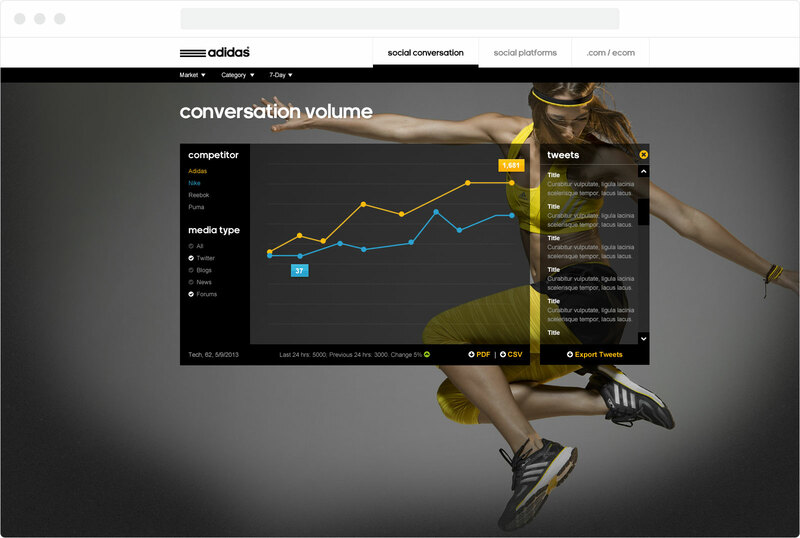 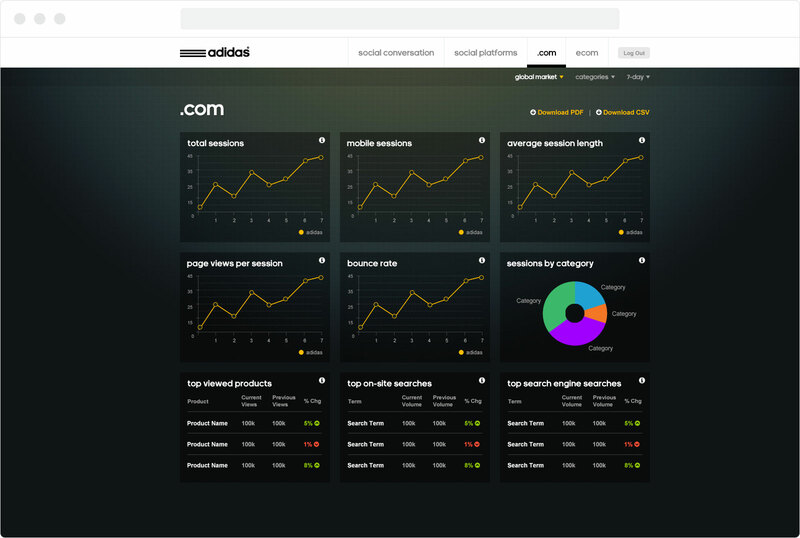 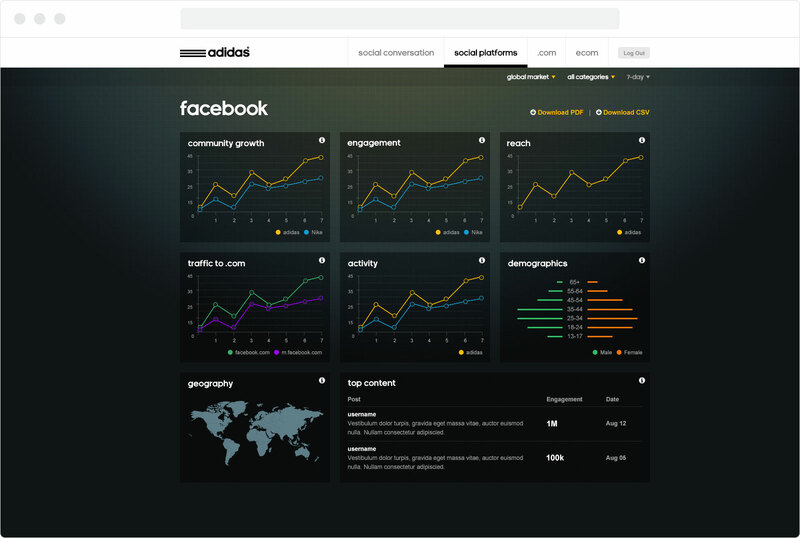 Adidas wanted multiple data sources to be viewed and analyzed in one location. 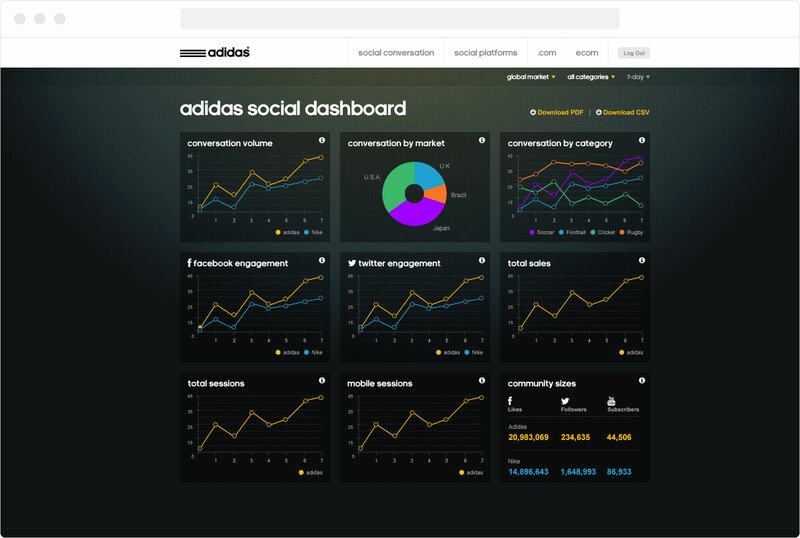 With that in mind, we created a visually stunning and easy to use social analytics dashboard. 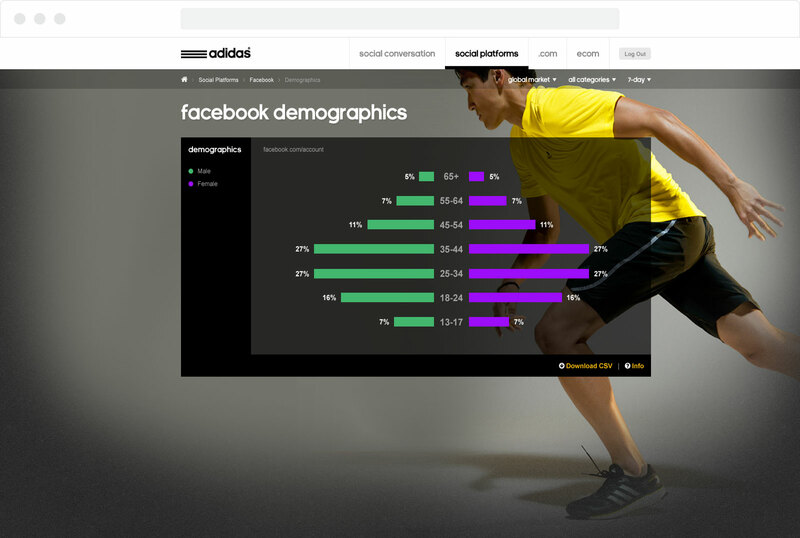 * Does not reflect actual numbers.